Cured in the classic Wiltshire manner, giving a moist ham with good flavour. Always a popular family choice. Paxtons ham is made using an old, traditional method of curing whereby the pork leg is immersed for several days in brine, which gives it a wonderfully moist, but never wet, texture. The addition of unrefined brown sugar to the recipe adds a subtle sweetness to this mild and delicious ham. Produced from only British pigs. Please note: this ham comes unglazed but you can add your own delicious glaze at home! 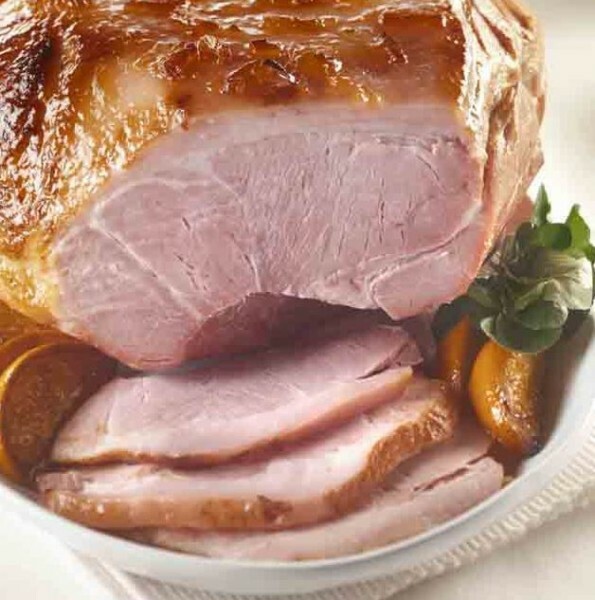 Try coating the ham with our Seville Orange Marmalade or Caramelised Onion Chutney. Alternatively try mixing our Wholegrain Cracked Mustard with our Pure Acacia Honey or Demerara sugar (adjust sweetness to your liking). The glaze needs to contain something sugary that will caramelise to a rich golden colour. Finally you may choose to score a diamond pattern into the fat, and decorate with cloves.